Tea industry stakeholders including Sri Lanka Tea Board (SLTB) Chairman Rohan Pethiyagoda have called on policy makers to urgently re-evaluate the arbitrary ban imposed on glyphosate-based weedicides in light of overwhelming scientific consensus that the substance is not harmful to human health, most recently confirmed by Risk Assessment for Glyphosate conducted by the United States Environmental Protection Agency (EPA) in December 2017. SLTB Chairman Rohan Pethiyagoda said: “The Sri Lankan plantation sector, and the tea sector in particular, are being forced to endure losses of up to Rs. 10-20 billion each year that the glyphosate ban remains in place, and it is mainly the smallholder plantations which are being deprived of these profits as a result of this extremely damaging policy. Worse still, there has not been a single piece of scientific or factual evidence produced in Sri Lanka to justify the ban. EPA’s human health review evaluated dietary, residential/non-occupational, aggregate, and occupational exposures. Additionally, the Agency performed an in-depth review of the glyphosate cancer database, including data from epidemiological, animal carcinogenicity, and genotoxicity studies and found no conclusive links to any ill effects. Pethiyagoda further noted that the ban was also eroding Sri Lanka’s ability to compete in international markets, given that other tea-exporting nations were not hindered by the inability to use glyphosate, while Sri Lanka has been left to grapple with increased costs of production and regulatory issues in traditional export destinations, triggered by the use of alternative weedicides introduced in the absence of glyphosate. The SLTB’s position on the glyphosate ban is mirrored by the vast majority of industry stakeholders, including the Ministry of Plantation Industries, the Tea Research Institute, Employee Trade Unions, and the Planters’ Association of Ceylon. Expressing support for the stand taken by Pethiyagoda, Planters’ Association of Ceylon (PA) Chairman Sunil Poholiyadde warned that an economic calamity of national proportions is rapidly approaching if policy-makers continue to give a deaf ear to the ground realities, and demanded that policy-makers take immediate steps to remove the ban or provide a feasible and cost-effective alternative to glyphosate. “Sri Lanka remains the only country in the world to have banned glyphosate, and for the past 4 years, there has still not been a single example of a medical condition that has arisen in the plantation sector that any proponent of the ban can show as justification. Furthermore, there has not been a single country anywhere in the world that has banned imports containing glyphosate residues to date. Yet as a result of this ban, all producers – including smallholders are being forced to use alternative weedicides to control the weeds that are eating away at our crop,” Poholiyadde noted. The PA and various stakeholder groups have previously called upon the Tea Research Institute to use its mandate to intervene and provide guidance to producers on a suitable alternative weedicide on an urgent basis – however, to date, there have been no such alternatives proposed. While RPCs are still held to a strict standard with regard to weedicide application, the ban has also resulted in smallholders experimenting with alternative weedicides, increasing the likelihood of an eventual ban the breaching of maximum residue limit standards in export markets. “Such alternative chemicals have already triggered warnings in export destinations like Japan, where the Maximum Residue Limit (MRL) allowed is significantly stricter for the most commonly used alternative, MCPA. In comparison, those same standards are much less strict for glyphosate residues. This lower standard for glyphosate is based on the fact that it has been internationally accepted as having no detrimental effects to human health. Meanwhile, Sri Lanka has not even specified glyphosate MRL for its own agricultural goods and food imports, in complete contradiction to the supposed rationale of the ban,” Poholiyadde noted. The US EPA’s findings are among the latest in a substantial body of scientific evidence – including a 2017 health survey conducted by the US National Institute Health which shows that the glyphosate “is not likely to be carcinogenic to humans and poses no other meaningful risks to human health when the product is used according to the pesticide label.” The agency’s scientific findings are consistent with the conclusions of science reviews by a number of other countries as well as the 2017 National Institute of Health Agricultural Health Survey. 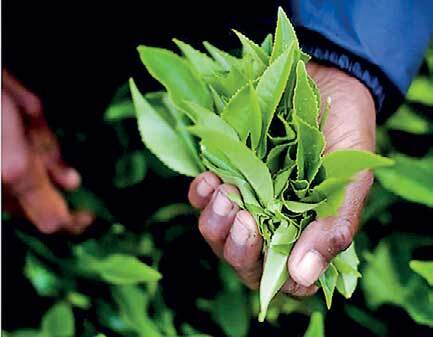 “Since it is clear that this ban has nothing to do with the human health, either for those producing or consuming Sri Lankan tea, then we demand that policy makers explain why they insist on taking such an illogical position, failing which, an immediate removal of the ban be gazetted,” Poholiyadde said. “Every day that the State continues its irrational inaction on this matter, costs our nation approximately Rs. 55 million in crop losses. The cost of this will have to be paid eventually, and its impact will be felt far outside just the regional plantation companies. If we can’t use glyphosate, they must clearly specify an alternative weedicide that is acceptable to all export destinations. We simply cannot afford to lose international market share due to short-sighted policy decisions,” Poholiyadde warned.